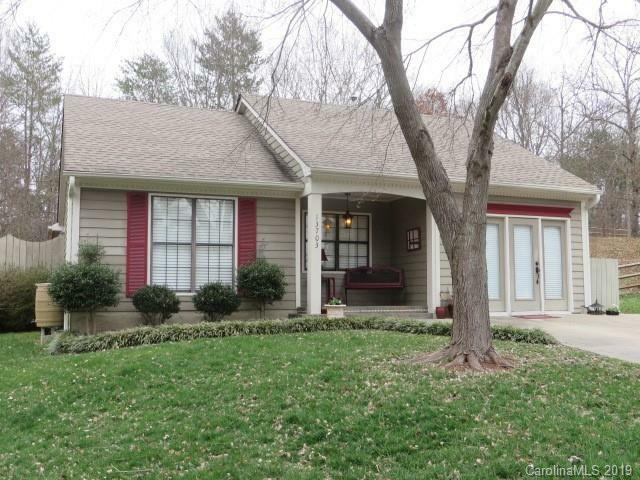 Lovely home in a cul-de-sac in South Charlotte 3/2 ready for your next home. Beautiful living and dining area combine with vaulted ceiling, laminate flooring, and french doors: granite counter tops in kitchen and both baths plus ceramic tile flooring, upgraded light fixtures. Lots of ceiling fans and flex area or office or rec room off from the cooking area which was the garage area by original owner without HVAC now it is in place. Items replaced Gas Water Heater 2018, Roof 2009, 2003 HVAC, condenser/compressor for AC 2012. Beautiful rear yard, add your rain barrels for an organic garden area on right side of the home. Very private when all of the trees are full of leaves in the rear yard. The owner would like to keep the swing and chains only. The owner is a Licensed RE Broker.